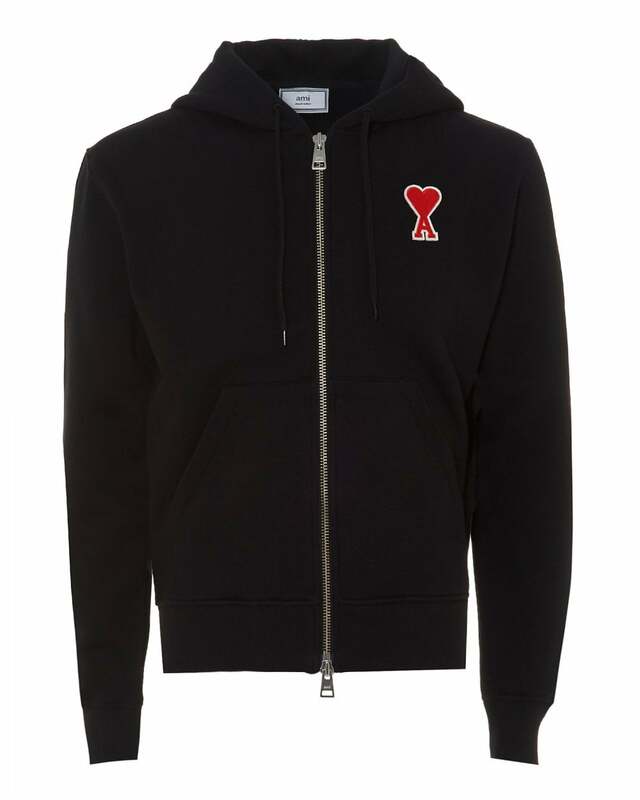 This iconic zip hoodie by Parisian designer Ami features their red 'Ami De Coeur' piece. Coming in a soft fleece feel, with side pockets and zipped fastening. Perfect to wear on its own on milder days, or to layer under a jacket.